Just to say a big thank you Maria to you and your team. The posters and leaflets have arrived and they look incredible. 2010/11 was a massive expansion in the use of mobiel devices for Internet content and QR codes are playing an increasingly important part in getting content onto user's mobile devices. However, many companies push content designed for standard browsers to mobile devices which makes accessing the content difficult if not impossible. 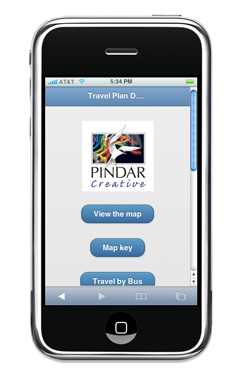 Here at Pindar Creative, we have been working to make sure our products that are targeted at devices such as Smartphone and tablets are actually formated and work correctly for these platforms. We offer a standard Sustainable Travel Solution to compliment our standard print publications in the form of an interactive website. If you compare the solutions, you can see the different formats used for the alternative platforms. 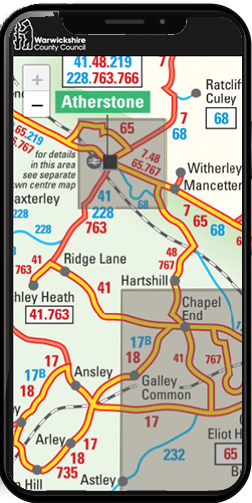 Mobile optimised Sustainable Travel solution or scan the above QR Code with your mobile device.